This is Monica's longish list of book that she has enjoyed over the years and wanted to share them with all of you. Also, don't forget to visit her Banana Yoshimoto pages that are dedicated to one of her favorite authors. Another place that we highly recommend you visit is the Babylon 5 where we showcase everything about our favorite television show. NOTE: Books are listed alphabetically by author. Once upon a time came a story so full of high adventure and true love that it became an instant classic and won the hearts of millions. 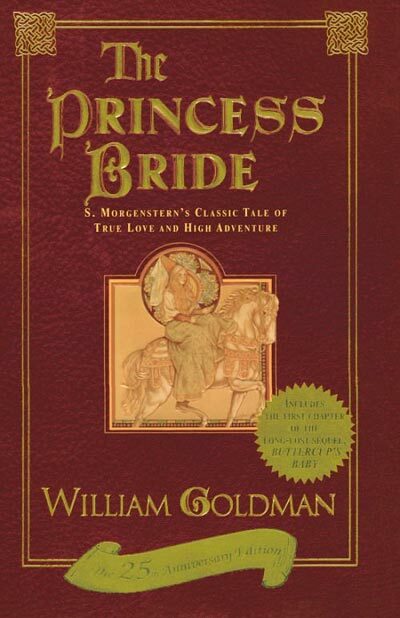 S. Morgenstern's timeless talediscovered and wonderfully abridged by William Goldmanpits country against country, good against evil, love against hate. From the Cliffs of Insanity through the Fire Swamp and down into the Zoo of Death, this incredible journey and brilliant tale is peppered with strange beasties monstrous and gentle, and memorable surprises both terrible and sublime. Romance, humor, villians and heros - Oh my! If you have not watched this movie or read the book yet, DO IT NOW! It is one of the best romantic/comedy/fairy tale that you will ever watch/read. I must admit more of an attachment to the movie that was based on this book (you can't beat Billy Crystal, Robin Wright and Cary Elwes with Rob Reiner directing). It is definitely a new fairy tale classic! I found the book to be a little hard to get used to since it is written as if William Goldman translated a book by S. Morgenstern (which is all fabricated). It even has a "preview" of his upcoming novel about Buttercup's baby ... just don't expect it in the stores anytime soon. Still, it is definately an interesting and gripping way to tell a story. Plus, it has got everything in it that you could ever want ... romance, humor, rhymes, villians, miracles, giants, wit, heros, heroines and more! This book is available in a another hardcover (library binding, Jun 1995) and paperback (Dec 1990) editions. If you are like me, you will love the movie which is available in VHS (NTSC format), DVD (2000) or DVD (Special Edition, 2001) versions. I recommend the Special Edition since it has all the special features and goodies. Also, don't forget to pick up the CD Soundtrack as well! Valentine Michael Smith arrives from Mars, to visit Earth. His arrival sparks off all the things you'd imagineexcitement, horror and greed. A tremendous satire of human weaknesses, now expanded with up to 30,000 extra words. Extremely thought provoking and enlightening... The first Heinlein book that I read was Moon is a Harsh Mistress at the urging of my husband and was pleasantly surprised. 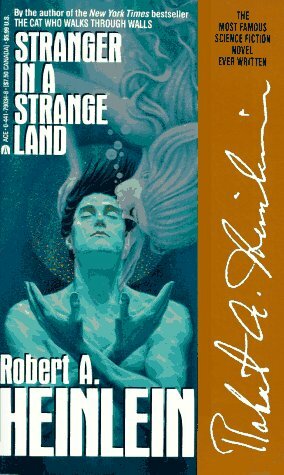 However, after I got this book (Christmas 1999) and read it, it definitely surpassed my previous Heinlein story. Why? I think it is because of the ideas that Michael (the man who was raised as a Martian) had some pretty interesting and unique concepts. The book dealt with a great range of topics from religion to politics to love to grokking (you just have to read the book to find out what grokking is). Even if you don't agree with everything the characters say and do, this book still makes you contemplate and evaluate life from another perspective ... which is something we should all be doing. This book is available in another paperback (May 1984), yet another paperback (Oct 1991), hardcover (library binding, Oct 1999) and another hardcover (Jun 1961) editions. 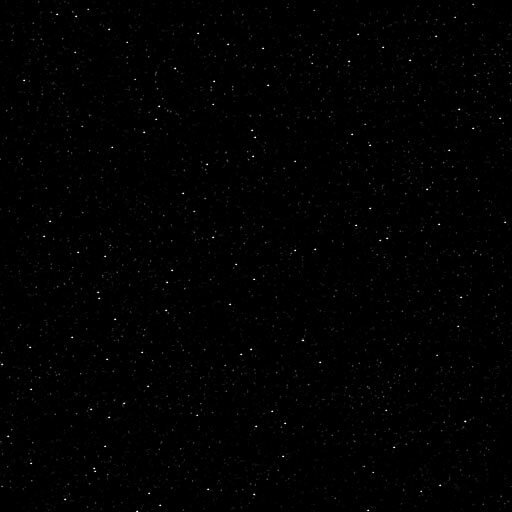 See Fredrik's and my review of The Moon is a Harsh Mistress. The title is a bit misleading as it is not as smutty as one might expect. 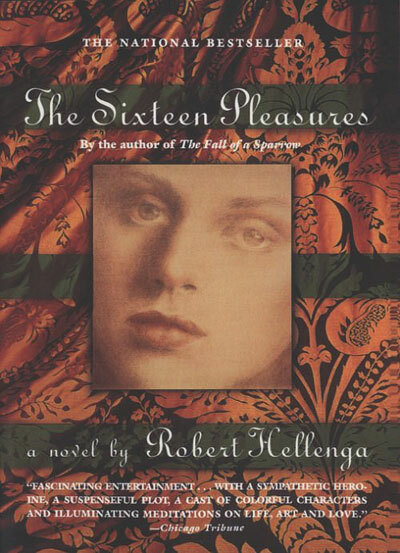 However, it is quite sensual and about a woman who finds herself and love as she restores (lots of wonderful detail about book restoration) a book that is found in an old abby, The Sixteen Pleasures. It is an adventure that could happen in today's time frame and the things she discovers about herself are universal. Many thanks to Jeff (my best friend) who sent it to me. This book is available in a hardcover (May 1994) edition as well. 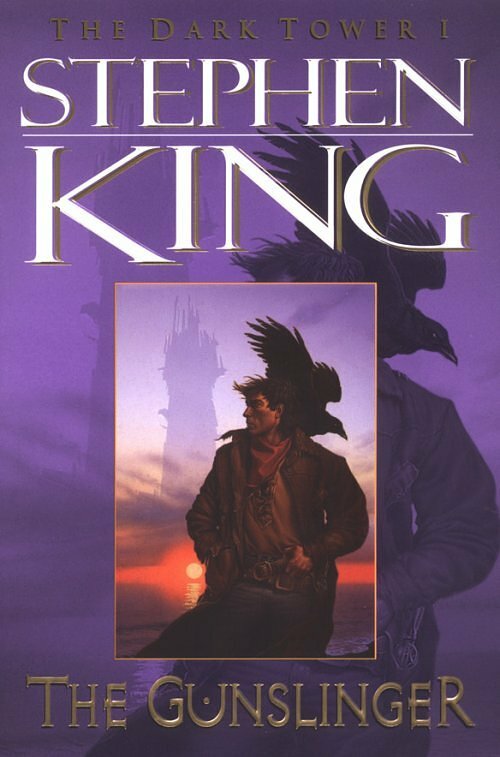 In the first book of this brilliant series, Stephen King introduces readers to one of his most enigmatic heroes, Roland of Gilead, The Last Gunslinger. He is a haunting figure, a loner on a spellbinding journey into good and evil. In his desolate world, which frequently mirrors our own, Roland pursues the Man in Black, encounters an alluring woman named Alice, and begins a friendship with the Kid from Earth called Jake. Both grippingly realistic and eerily dreamlike, The Gunslinger leaves readers eagerly awaiting the next chapter. This has to have one of the best first lines in a book: "The man in black fled across the desert, and the gunslinger followed." If that doesn't get you to read the book, then get it for the beautiful illustrations by Michael Whelan and for the facinating story that only King can tell. For those of you who are not King fans but do like fantasy, this might be the perfect book for you as it is much different from most of his other novels in the horror genre. It is a true masterpiece and I cannot wait to see where he will take us with it. This review refers to the illustrated (by Michael Whelan), paperback edition but it is also available without the illustrations in another paperback (mass market, Dec 1994) and hardcover (library binding, Oct 1999) editions. Don't miss the other books in this series which are conviently available in sets of three: boxed set (mass market, Nov 1997) and the limited edition, hardcover (library binding, Dec 1998) sets. Also, don't forget to pick up the fourth book, Wizard and Glass, which is available in paperback (illustrated, Nov 1997), another paperback (mass market, Nov 1998) and hardcover (library binding, Oct 1999). They were seven teenagers when they first stumbled upon the horror. Now they were grown-up men and women who had gone out into the big world to gain success and happiness. But none of them could withstand the force that drew them back to Derry, Maine to face the nightmare without an end, and the evil without a name. What was it? Read It and find out...if you dare! This is one of my early King reads and it still remains one of my favorites. King was one of the only horror authors that I read, which was probably because he messes with your mind a lot (and throws in some gore for good measure also). It is about seven kids who grew up together and fought 'It' together. Then, about thirty years later, they are all drawn back to their home town to fight 'It' again. I have to admit tha this book was hard to get into at first, because it goes back and forth between all the charaters, when they were kids and the present. Still, after I got through it the first time, I had to immediately read it for the second read when everything made sense. A real mind trip! This book is available in another paperback (Jun 1987) and a hardcover edition as well. Arguably the greatest horror novel ever written by the greatest horror novelist, this is a true Modern Classic that was first published in 1978, and then re-published in 1990, complete and unabridged, with 150,000 words cut from the first edition restored, and now accompanied by unusual and imaginative line art. 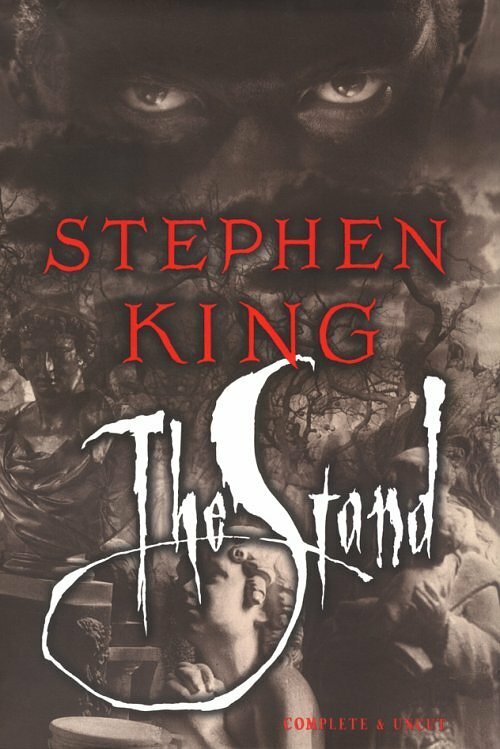 The Stand is a truly terrifying reading experience, and became a four-part mini-series that memorably brought to life the cast of characters and layers of story from the novel. It is an apocalyptic vision of the world, when a deadly virus runs amok around the globe. But that lethal virus is almost benign compared to the satanic force gathering minions from those still alive to destroy humanity and create a world populated by evil. 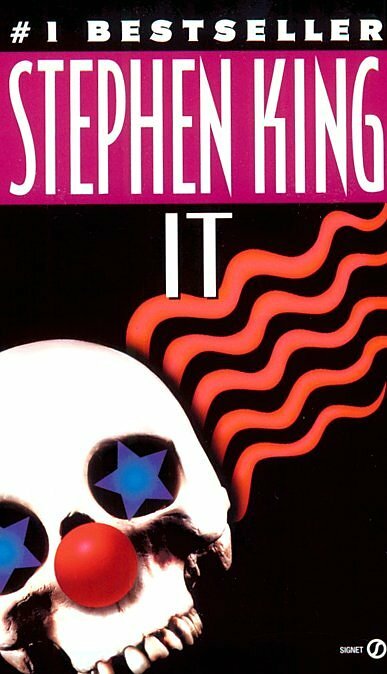 Stephen King is a brilliant storyteller who has the uncanny gift of putting ordinary people in extraordinary circumstances, giving readers an experience that chills and thrills on every page. It is hard to pick my most favorite King novel, but I think this one is it. I highly recommend the complete and uncut version which put back about 500 pages which were previously edited out when it was originally published. King also had the chance to rework some new material in which means that it should offer something new and compelling to readers both new and old alike. This uncut edition definitely adds more depth and detail plus, some parts make a lot more sense. The book is about a goverment experiment which accidentally wipes out 99% of the people on earth. Civilization comes to a grinding halt with only a few people immune to the experiment to run the place. However, it goes beyond that premise and the real meat of the story lies in the good verses evil, God against the Devil and the strength of humanity. Don't miss it! This book is available in another paperback (movie tie-in, May 1994), a hardcover (May 1990), and a another hardcover (Aug 2001) editions as well. The distinguished filmmaker chronicles his life from his birth in 1910 to the worldwide success in 1951 of his film "Rashomon" and provides a provocative account of the Japanese film industry. 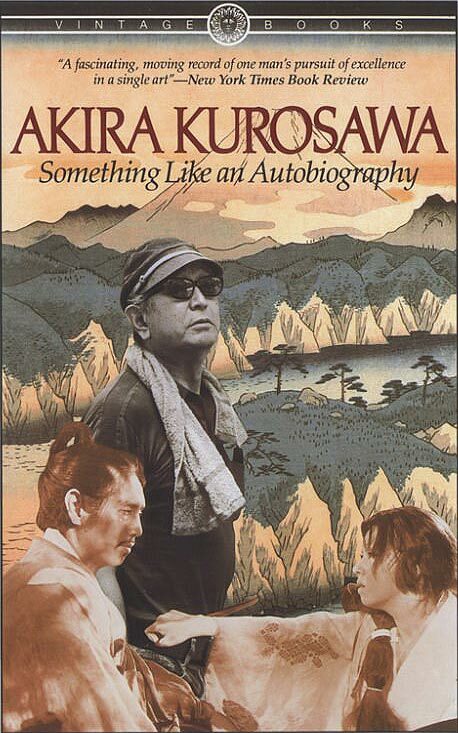 A must read for any Kurosawa fan... It has been many years since I have read this novel but I was chatting with some friends online recently and it reminded me of how much I liked this book. I remember when I first read it how impressed I was by his life and philosophy that it made me want to watch more of his earlier movies. I still have yet to do so but I might now that I have reminded myself of this oversight. He was a remarkable man and much of his personality shows through in his stories about his childhood and struggles as a young man. I had to keep a notepad with me when reading because there were so many passages and phrases that called out to me. "If a boring person says something is boring, that's probably proof that it's interesting." "While a person is born with strengths and weaknesses as part of his heredity, they can be greatly altered by later influences." There was also a lot of information about the film making process but I didn't mind it at all even though I have no real interest in it. It just adds to the flavor and enjoyment of reading about him and the world he grew up in. I had hoped it would cover much more of his life but it ends around 1950 and he lived and created movies for many decades afterwards. That is probably why it is only "Something Like an Autobiography". This book is available in hardcover (May 1982) edition as well.